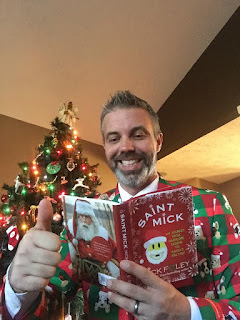 I've talked about it for months here on the blog and on the My 1-2-3 Cents podcast, and the day is finally here. 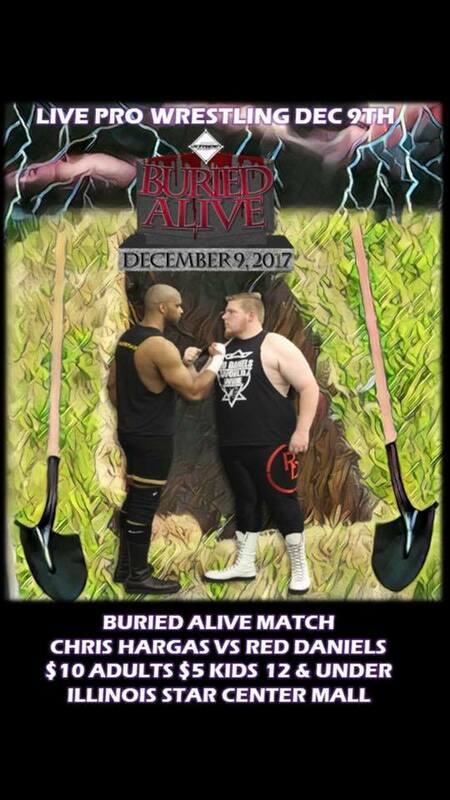 Stride Pro Wrestling presents Buried Alive. 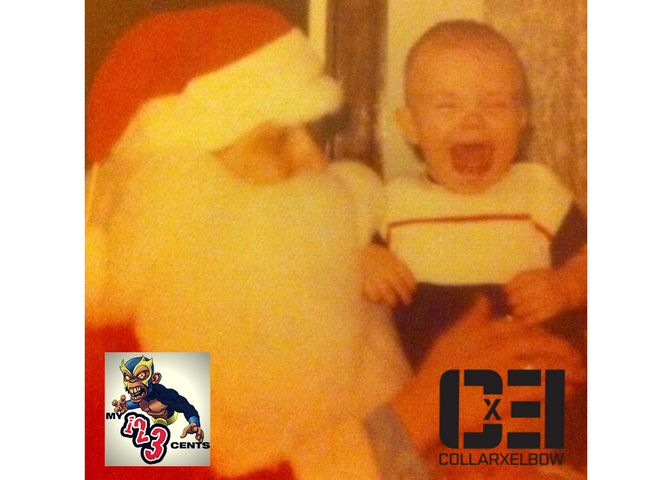 The show is tonight (Saturday, Dec. 9) at the Illinois Star Centre Mall in Marion. Bell time is 6:30 p.m., but doors open at 6. 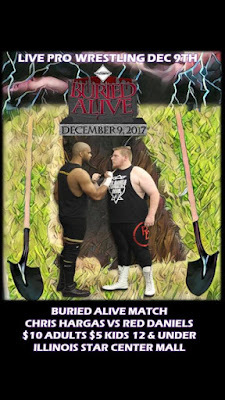 The main event is the Buried Alive match. Bad blood has been brewing between Chris Hargas and Red Daniels for several months. Things got personal between the two when their girlfriends were pulled into the situation. Now either Hargas or Daniels will end up in a grave and covered in dirt. No matter who wins, neither man will be the same when this one is over. 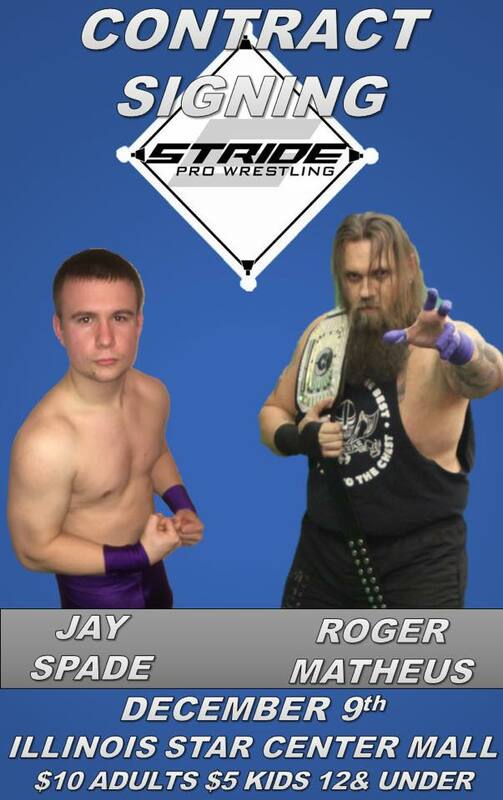 Stride Pro Wrestling Heavyweight Champion Roger Matheus and challenger Jay Spade will sign the contract for their title match. The Last Man Standing contest is a week from tonight at Woodlawn Grade School. Tony Flood will defend the Legacy Championship against the aerial assault of Joey O'Riley. Both men are impressive in the ring. 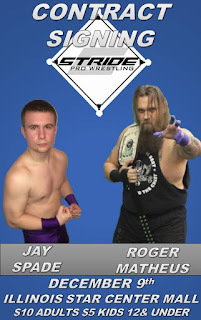 Flood is a two time Legacy champ, O'Riley has been a co-holder of the Stride Pro Wrestling tag team titles. He's won gold elsewhere too, but tonight he would win his first singles title in Stride. Jose Magnifico puts his mask on the line against Brian Richards' beard. This feud has been going off and on for a year now. Tonight, we either learn the identity of Magnifico or Richards will have to invest in something to keep his face warm this winter. 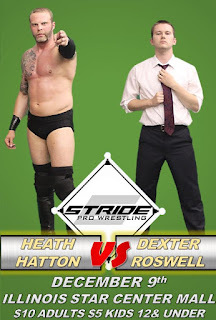 Revenge will be on Heath Hatton's mind as he faces Dexter Roswell. The leader of the DR party cost Hatton the Legacy Title recently. Hatton trained Roswell long before we first saw Roswell in the ring. But you can bet he didn't teach him everything he knows. Ax Allwardt was supposed to face his former tag team partner Scott Phoenix. But weightlifting and shampooing incidents have left Phoenix with a bum hand. But I have to believe Ax wants a piece of either Phoenix or former manager J. Wellington Beauregard tonight and General Manager Sam Hunter will be glad to deliver. JD Wilk returns tonight to face Arron Brooks. Both men are accomplished in the ring and should put on a great show. Frank Wyatt will take on Stride Pro Wrestling student Shane Laud. Again, bell time tonight is at 6:30 at the Illinois Star Centre Mall in Marion. Tickets are $10 for adults and $5 for kids. Oh and I'll be there in my #UglyChristmasSuit raising money for Children's Home + Aid so please consider making a donation.